Deborah A. Hughes – Schiffman Sheridan & Brown, P.C. When in need of a bankruptcy attorney in Harrisburg, PA you can trust that Deborah A. Hughes, of Schiffman, Sheridan, & Brown P.C., is qualified. Along with the Harrisburg area, she also serves as counsel for residents of Hershey, Carlisle, Camp Hill and Central Pennsylvania. Ms. Hughes is a senior counsel at Schiffman, Sheridan, & Brown P.C., acts as legal counsel for both debtors and creditors. 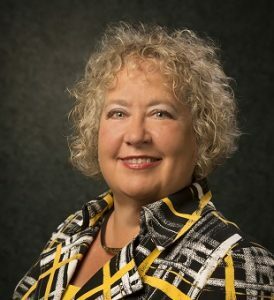 She was the first woman in Pennsylvania to receive the ABI board certification as a consumer bankruptcy specialist in the inaugural 1992 class. She was honored in the 1998 Class of Pennsylvania’s Best 50 Women in Business. She is past Director of the Bankruptcy Section of the Dauphin County Bar Association and was in charge of the Section Newsletter published quarterly. She is a member of the Bankruptcy Committee of the Section on Corporation, Banking and Business Law of the Pennsylvania Bar Association, as well as the American Bankruptcy Institute, NACBA and Counsel of Certified Bankruptcy Specialists. As an experienced bankruptcy lawyer, she is a frequent lecturer on bankruptcy topics, and has published articles on various aspects of bankruptcy practice. She has testified before the Pennsylvania House and Senate Select Committees investigating the opt-out provisions from the federal exemptions. Ms. Hughes is a panelist on the Pa Insolvency Task Force, which was formed to review and revise the statutory insolvency laws in Pennsylvania. She is listed in the Martindale-Hubbell Bar Register of Preeminent Lawyers and in 2013 she was selected for inclusion into the 2013 inaugural edition of the Martindale Hubbell Bar Register of Preeminent Women Lawyers. Less than 5 percent of women lawyers have been recognized with an AV Preeminent Rating. In 1998 she was inducted into the Charter Class of Certified Bankruptcy Mediators for the Middle District of Pennsylvania. From 2006 – 2013 she has been honored with the award of Pennsylvania “Super Lawyer”. Ms. Hughes earned her undergraduate degree from Dickinson College, and her law degree in 1979 from Dickinson School of Law. As noted by her repeated recognition, Deborah A. Hughes is highly recommended bankruptcy lawyer of Schiffman, Sheridan, & Brown P.C. To find out how Ms. Hughes can be your bankruptcy attorney in Harrisburg, PA, residents can email her at the above address or call the office to make a personal appointment.